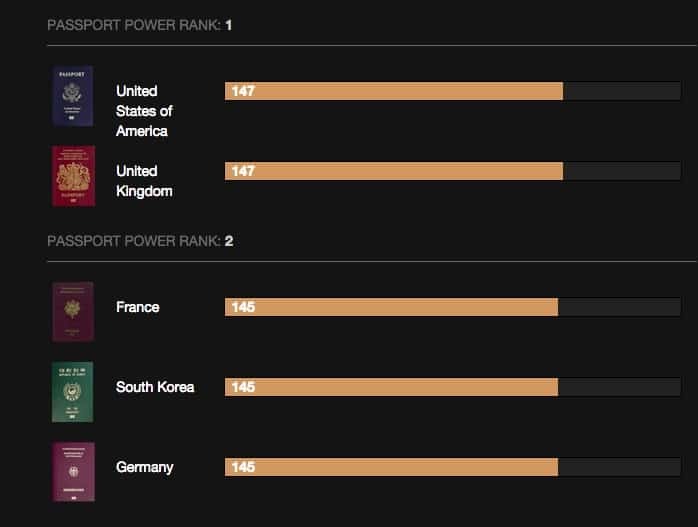 I recently came across this Passport ranking and how many countries you can visit with your passport. 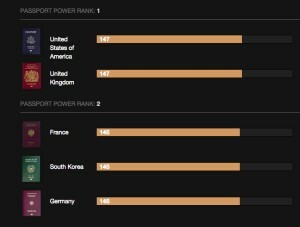 I don’t think anyone is surprised that US and the UK are on top of the list. I can say I am pretty happy about this since I do hold a UK passport. My life was not always the same and I have definitely been in situations before where I didn’t have the most powerful passport. I am a dual citizen and my second passport is not so powerful so I did have my fair share of visa/country rejections. My first trip was to the UK, where I didn’t know I needed a visa. Don’t even ask how I messed this one up! I can’t believe I am even sharing this here as it’s such an embarrassment. I did have a passport and a ticket but no visa for the UK. All I wanted was to come and check my University before I move here, but no one listened to my pleas. So I was happily sent home from the airport. It definitely made for a good laugh and I was happy for low cost airlines. On two other occasions I was rejected for visas due to the fact that I was a student in the UK and had no ties to the community, so the countries that I wanted to visit thought I wanted to immigrate. You know who you are! I definitely didn’t have such thoughts but I can’t blame them since I know many people will want that. I can say I am definitely very happy that my passport has more power now and it saves me money on visas and hassle trying to figure what documents I need. Only problem is when I want to travel with a family member like my mum and I find out yesterday that she needs a visa for Doha. Seriously? Why ?! Which country is your 2nd passport from? Sorry if it sounds too personal but you did mention it so I just found it odd you didn’t mention it (as if you’re embarrassed?) Regardless, I rarely pay attention to passport rankings since my personal belief is if a country isn’t welcoming to me by either rejecting my visa application or simply not allowing US citizens in their country, then I won’t spend my hard earned money there. No problem Joey. I thought I had mentioned before that I have Bulgarian passport, I did say my mum has Bulgarian passport. I had three but I had to drop one since we are allowed only two passports, the third would be Greece. I had the same mentality on the rejection side, since one of the countries was US that rejected me when I was a student. I was really annoyed since all my friends went on holidays but I do see the point from their side. I had said I wouldn’t visit the US since they “don’t want me” however I think I would have missed out :).